Spend a 3-day weekend enjoying Winston-Salem’s beauty and Southern charm at 18th-century gardens, historic homes and mansions, and culinary hot spots. Winston-Salem’s proud skyline is a testament to its entrepreneurial spirit. The city’s historical attractions and beautifully manicured gardens offer glimpses of past people, including the Moravians, who first settled here in the 18th century. Journey on a 3-day weekend adventure to hear their stories, see their sites and dig in to seasonally inspired meals along the way. Nestled just 15 minutes from downtown Winston-Salem is the very first Moravian settlement in North Carolina. Kick-start your weekend where it all began more than 250 years ago – Historic Bethabara Park. 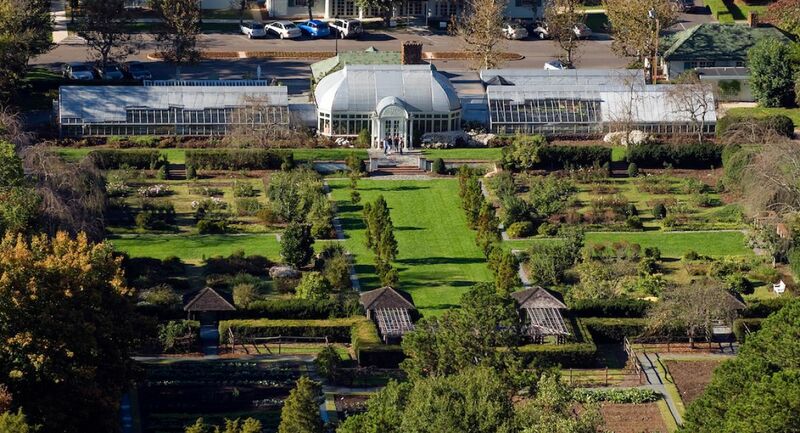 The National Historic Landmark is home to the country’s oldest medicinal garden. Costumed interpreters explain how a physician would harvest its plants, mix them according to ailment-specific recipes and prescribe them under strict direction. Planted directly beside is the oldest documented community garden in the country. Adjacent to the gardens, tour the restored 18th-century German church with living quarters, the last one of its kind in the United States. 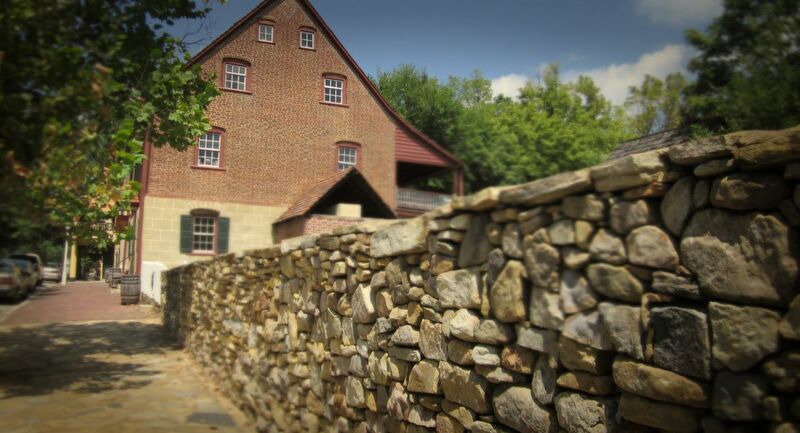 An easy drive back from Bethabara and just blocks from downtown is Old Salem Museums & Gardens. Founded in 1766 and one of the country’s most well-documented historic sites, Old Salem invites visitors to mingle with costumed interpreters, who re-enact the religious and meticulous lifestyle of the Moravians. Their records directed the renovation and reconstruction of Old Salem’s buildings, which include the Museum of Early Southern Decorative Arts (MESDA). Behind Salem’s first private home is the Miksch Garden. Old-world techniques are used to cultivate herbs, flowers and vegetables in its square garden plots ringed by fruit trees. Right next door behind the Single Brothers’ House is the Single Brothers Garden, Old Salem’s largest interpreted garden. Historically occupying nearly 700 acres, the Single Brothers’ Garden today is planted with examples of what the Brothers (unmarried Moravian men of Salem) would have grown in their kitchen garden, as well as examples of their field crops. Both of these perfectly manicured gardens display the Moravians’ seed-to-table mentality, the more-involved forerunner of the tasty tact taken by restaurants such as The Tavern in Old Salem. Its dishes are filled with locally farmed foods and tradition. Order the Moravian Chicken Pie for lunch. The double-crusted delicacy, served with gravy and vegetables on the side, only rivals its namesake’s cookies in simplicity and popularity. It’s a quick drive to Historic West End, where early 1900s Victorian-style homes meet the hustle and bustle of downtown Winston-Salem. Locally owned restaurants and shops line the winding roads here. Try Mozelle’s, where Southern gets an unexpected makeover in the Southern Spring Rolls appetizer filled with spicy collards. As an entrée try the famous savory tomato pie (thank the owner’s grandmother for this recipe), accompanied by a creamy side of succotash. For a nightcap, check out nearby Spring House, located in the last remaining mansion on what was once known as Millionaire’s Row, for a craft cocktail spiced with herbs from Chef Tim’s garden. Grab a farm-fresh breakfast and hot cup of locally roasted coffee at a Winston-Salem original – Krankies Coffee. Located inside a 1917 warehouse, Krankies offers a full lineup of innovative breakfast combinations, including their signature grits bowl with locally stone-ground grits and the chicken biscuit featuring brined and fried chicken breast drizzled with another Winston-Salem original, Texas Pete hot sauce, and honey. Now that you’ve filled up, head over to Reynolda Gardens. Originally designed by Katharine Reynolds, wife of tobacco tycoon R.J., Reynolda Gardens were envisioned to be a gift to the community. Today master gardeners are careful to still follow her early-20th-century layout while mixing new plantings and traditional ones such as roses. Take a peek inside the original 1913 greenhouse for exotic plant species including many available for purchase. The 1,000-acre country estate also is home to nature trails, a part of the North Carolina Birding Trail, and Reynolda House Museum of American Art. Celebrating its Centennial in 2018, the museum invites you to learn more about the Reynolds family through its current exhibit, Reynolda at 100: Reynolda Farm, illustrating its role in agricultural education. 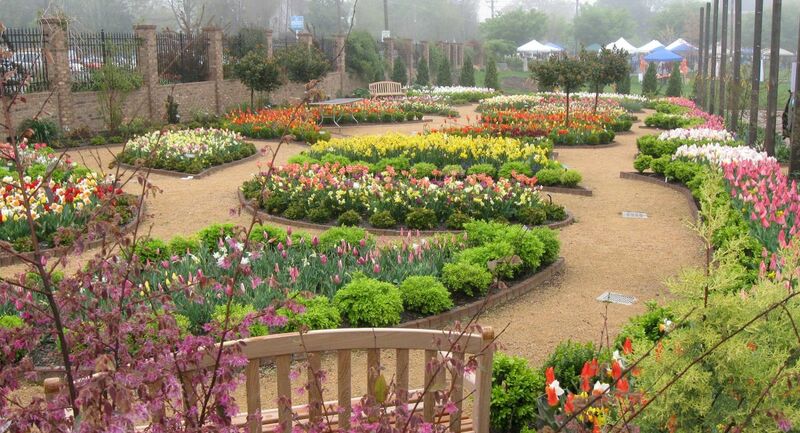 Find the region’s largest spring bulb display 15 minutes east at Paul J. Ciener Botanical Garden in Kernersville. Brightly colored tulips, hyacinths and other blossoms paint a pretty portrait of spring at this public garden. While the flowers are planted across the grounds, most are part of the 19th-century pattern garden’s intricate design. Find it, along with the Moravian-inspired kitchen garden, where herbs and vegetables are grown based on the 18th- and 19th-century techniques of the Moravians. Back in Winston-Salem, spend an evening in the Downtown Arts District. Pop into Mast General Store for a trip down memory lane with barrels of traditional candies, bottles of soda pop and locally made foodie finds and gifts. Cross the street for dinner at Sweet Potatoes, whose Southern cooking has a Creole flair. 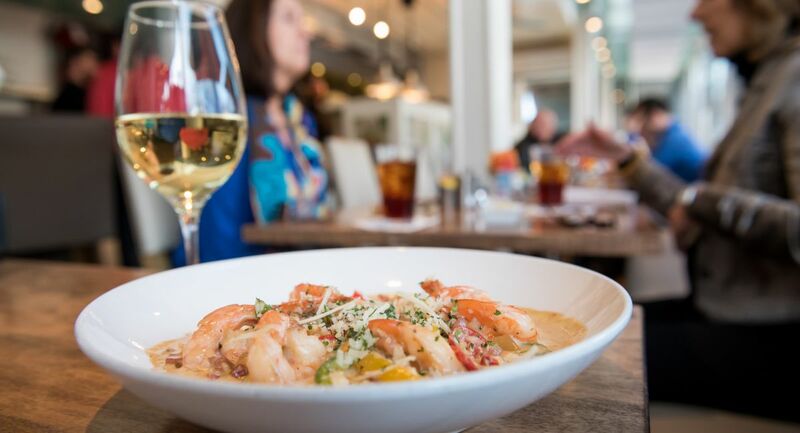 Menu headliners include the fried green tomato and okra appetizer and homemade sweet potato pie which has received national raving reviews. What’s Sunday without brunch? Mary’s Gourmet Diner leans on fresh and organic ingredients for its brunch offerings, making it popular with the locals and visitors. Try the Giacomo’s sausage or the wildly popular Apple Butter Baby sandwich with smoked sausage smothered in warm, house-made apple butter. You don’t need a golden ticket to enter Black Mountain Chocolate Factory & Kitchen, only a break in traffic to cross the street that separates it from the diner. 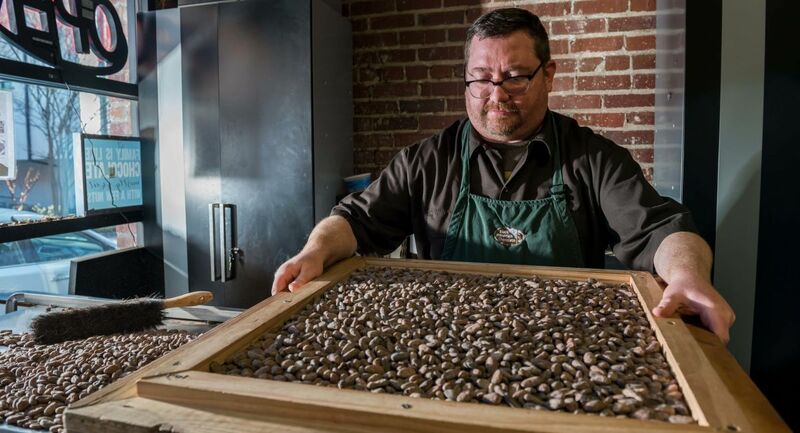 Watch its sweets being made, from fair trade and organic bean to bar, on the self-guided tour. Take home some of the specialty dark chocolate or one of the pastries. Before turning toward home, stock up on local honey and urban farming supplies at Colony Urban Farm Store. Try a taste of the infused honeys on tap and receive tips from the owners on successful bee keeping and how to begin gardening in your own home, even if that home has a parking garage for a lawn. Graylyn Estate was home to R.J. Reynolds Tobacco Co.’s first CEO, Bowman Gray, and his wife Nathalie. Throughout their years together, the Grays traveled across the world collecting furniture and décor used to complete their Manor House, which sits on 55 pristine acres. Now a luxury hotel, Graylyn melds modern and traditional amenities that reflect the history of the home, including butler service and butterscotch cookies made from Mrs. Gray’s recipe. Or stay close to the action at the Historic Brookstown Inn, whose exposed beams and bricks are reminders of its previous life as one of the South’s first textile mills. 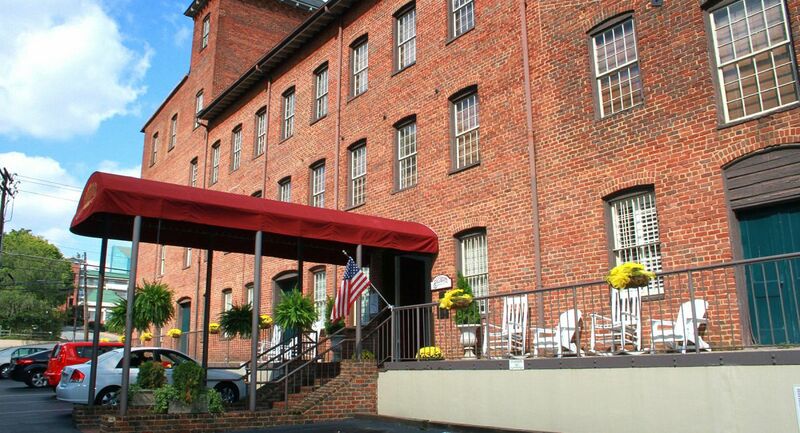 Enjoy comfort and Southern hospitality just blocks from downtown and Old Salem Museums & Gardens. Both hotels offer weekend garden-getaway packages including admission to Old Salem. This trip idea was produced in partnership with Visit Winston-Salem.